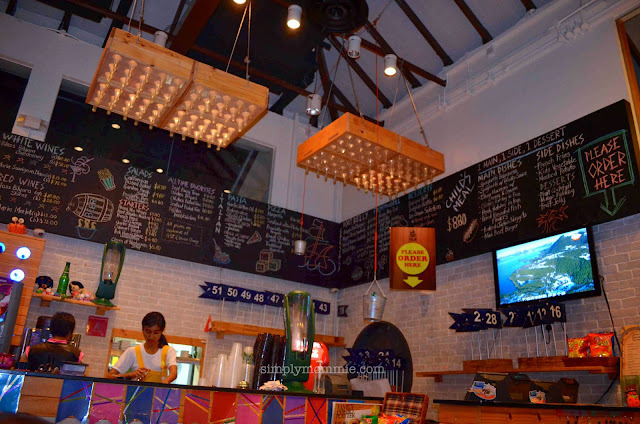 Last Friday, we were at Port of Lost Wonder for Sentosa Spooky Junior and it was our first time dining at Port Belly Sentosa even though we’ve been to POLW a few times. We grabbed two cups of fruit juices before checking out the Halloween party and eventually sat down in the cafe to eat after we were more or less done. 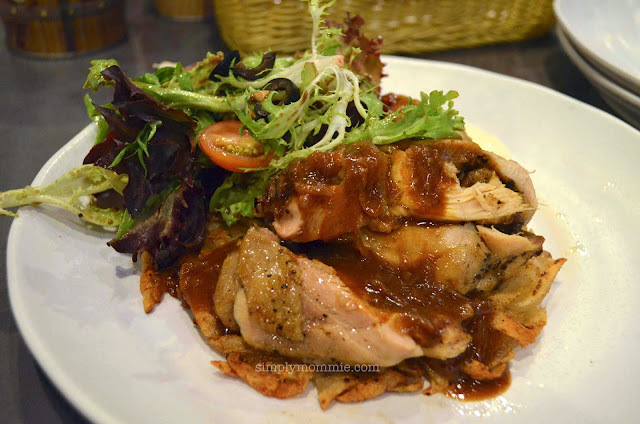 We ordered Rosti with oven baked chicken thigh which tasted really quite good – the chicken was moist and tender. There was sufficient gravy for both the chicken and the rosti so I hardly needed to touch the sour cream. 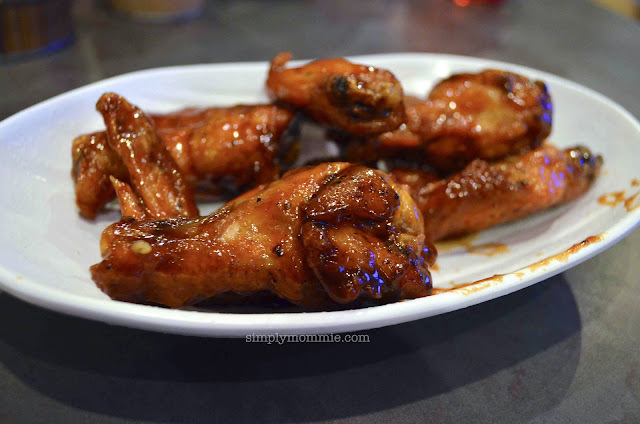 We also had BBQ chicken wings – my girl polished off about 3-4 of these. 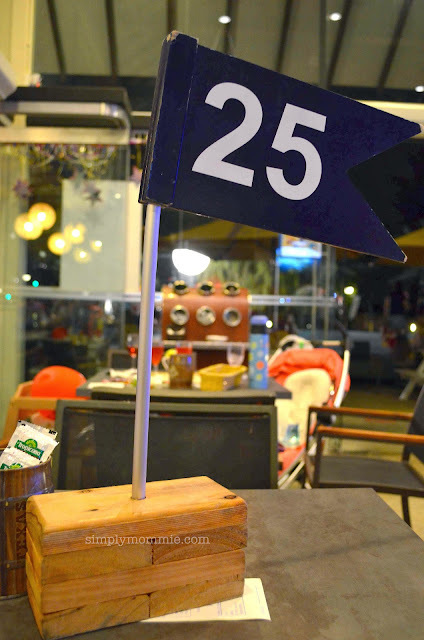 We’ll definitely be eating here again, especially when we visit POLW! 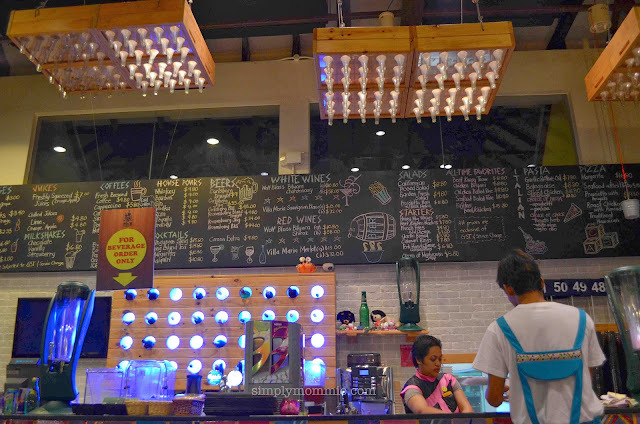 Do note that on weekends and public holidays, Port Belly is open to only patrons of POLW. UPDATE: We did go again, as we said we would! And here are more dishes we savoured. It was a crazy lunch hour on a Sunday so it took a long while before we got our food. 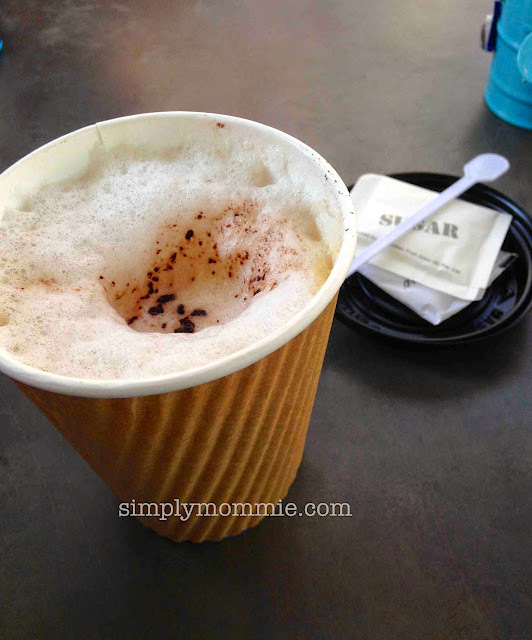 But eventually the first thing we got was our cappuccino (S$5++). 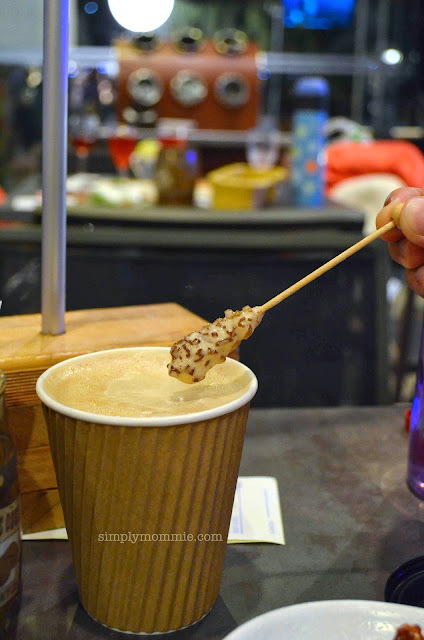 Not sure if the quirky stirrer pictured above only applies for latte, but we definitely didn’t get it for our cappuccino. The taste was average, nothing fancy. 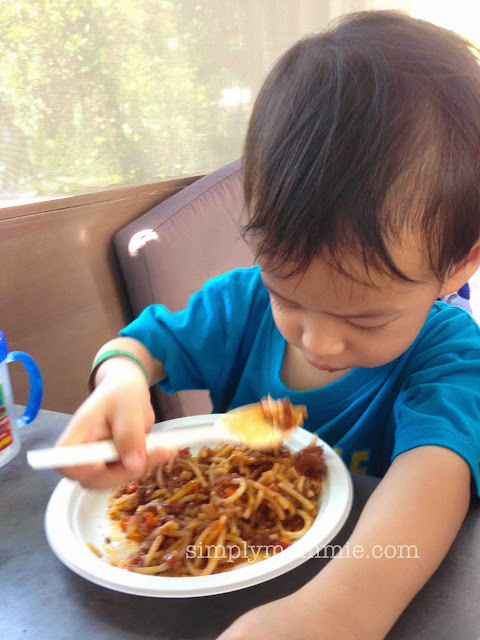 The first main dish that appeared was the kids’ spaghetti bolognaise (S$8++). We were all so ravenous that even I forgot all about taking photos of it! 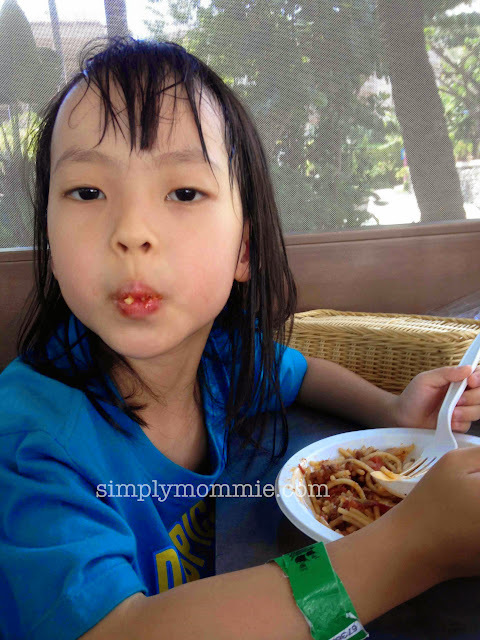 I’ve only got hungry kids devouring the spaghetti. It’s a much bigger portion than I’d expected and it’d serve perhaps three kids. Yup, guess who was the third kid that day? I’d say they are generous with the beef and I was very glad for that as most places serve their pasta with a lot of sauce but hardly any sign of meat. Anyway, after that the dishes started coming real quickly and our table was full of food. 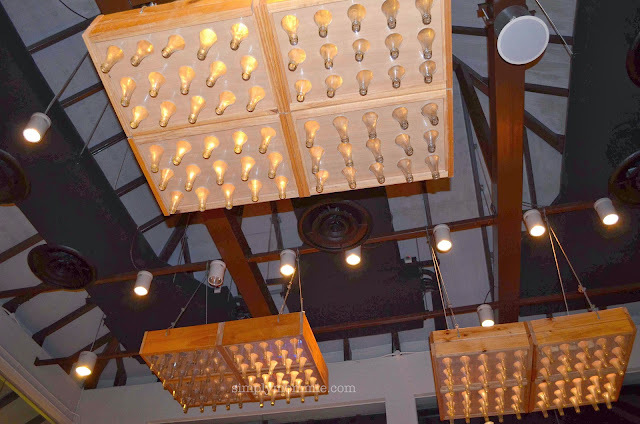 Yup, I kinda over-ordered again – that always happens when I order food when I’m hungry. 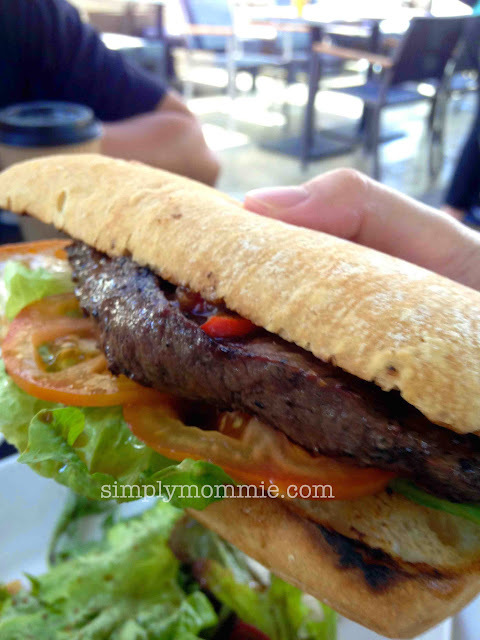 Here’s the Wagyu steak sandwich (S$18++) for my hubby. 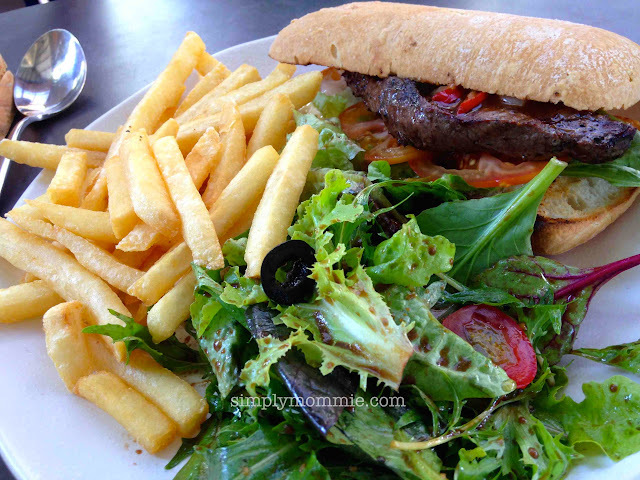 The steak was yummy, but we thought the bread didn’t complement the steak very well. 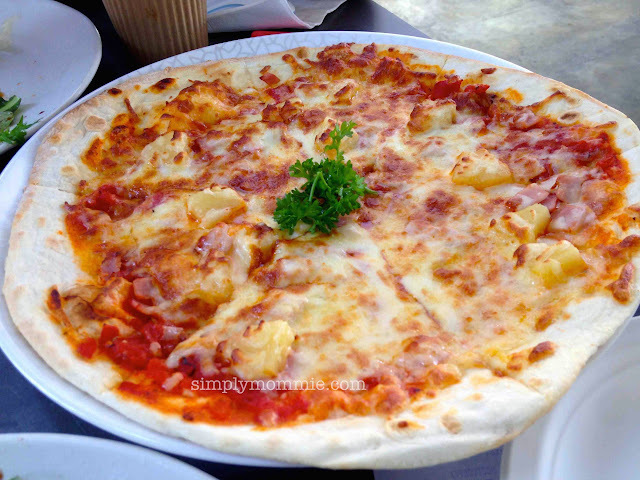 I ordered a Traditional Hawaiian pizza (S$17++) and a Rosti with sour cream (S$6++) for sharing. 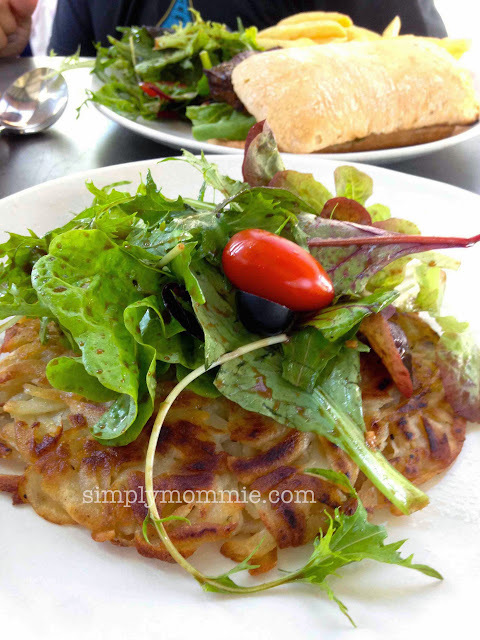 The Rosti with oven-baked chicken thigh was waaayyyy better than the plain one. Which also explains the large difference in cost. The salad was still good though. The hawaiian pizza was average, nothing to shout about, though I’d have to say again, it’s quite a large pizza. Thin crust fortunately, so not that heavy, considering how much I’d ordered. Fortunately I didn’t order the waffle with ice-cream too. That’d have been overkill. So yup, we arrived hungry and left extremely full. The bill for Sunday’s lunch came up to S$61.25 which we honestly thought was a little pricey for the food. I’d check that place out. That’s for sure.